If you’ve ever made anything chocolate dipped you are probably aware of how difficult it can be to melt chocolate (I usually burn it). 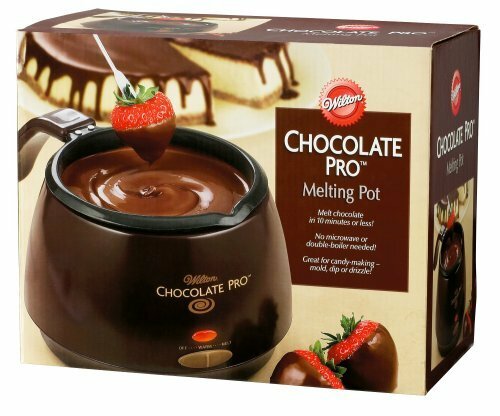 Well, leave it to Wilton to make chocolate melting and dipping easy and at an affordable price too with it's Chocolate Pro Electric Chocolate Melter ! With Valentines Day just around the corner and JD's birthday party a few months away I thought I would invest in one, especially after reading it's amazing reviews. I can't wait to try it out! 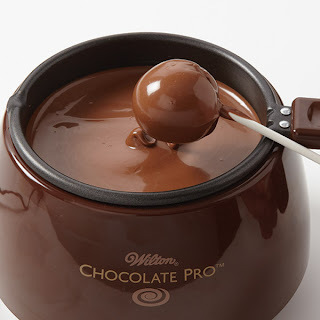 You can also find the Wilton Chocolate Melting Pot at Joann's, Michael's or most cake and candy supply stores. I always burn it too! Haha. I love chocolate covered ANYTHING! Amaris, don't you love when it gets all clumpy too! LOL. 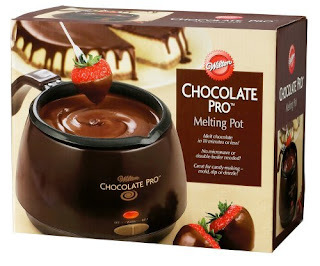 I'm hoping this melting pot will help, BTW they're on sale at Joann's $23.